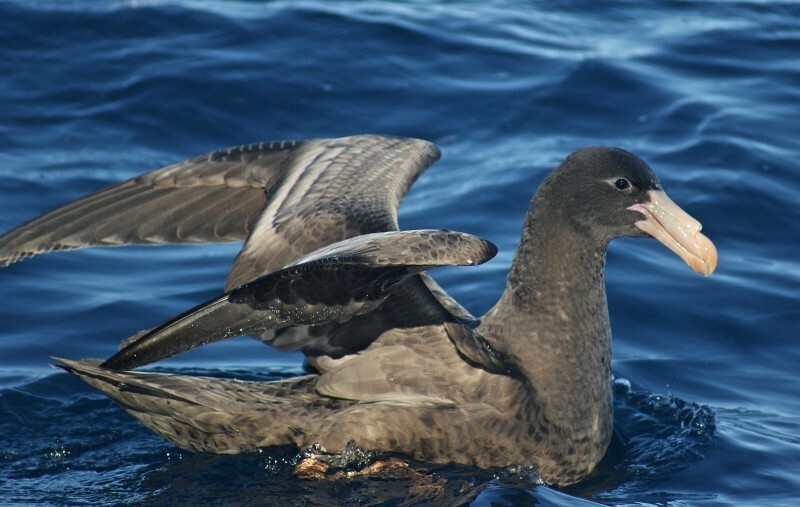 Along with the Southern Giant Petrel, these are the largest petrels at 81-94 cm in length with a 180 - 200 cm wingspan, slightly smaller than the Southern. The Northern and Southern were recently split and the colour of the bill tip is the diagnostic feature: Northerns have reddish tips and Southerns greenish. 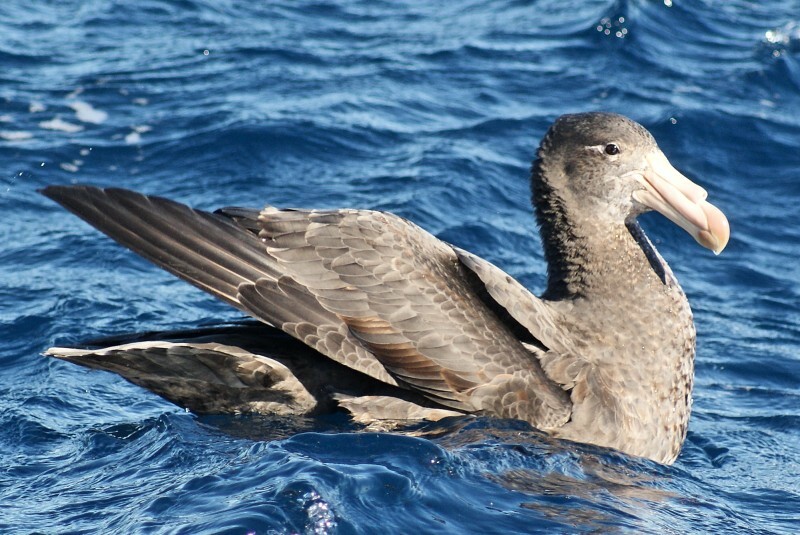 They occur all round the southern oceans and closer to the Antarctic in the summer.